The Museum of Beer & Brewing is a not-for-profit organization working to build a museum (both virtual and physical) to preserve and display the proud history of beer and brewing throughout the world; the science, art, architecture and traditions that have shaped our culture for thousands of years. A tour of of European Brewers and other and other historic sites of interest is being planned for June 2019. Space is limited and members of the Mueum of Beer & Brewing have priority reservations. If you are interested in participating in what promises to be an interesting and fun filled tour of Germany, with brewery sites in Poland and the Czech Republic as well. The tour itinerary with dates, cost and an application form will be posted in the near future. Watch for the 2019 Brewing Dates at Old World Wisconsin. A partnership has begun between Old World Wisconsin and the Museum of Beer & Brewing, teaching the process of brewing beer, from growing the ingredients to fermentation, done the same way as the 19th-century brewmasters. Check out the story in the Milwaukee Journal Sentinel! Milwaukee Historical Society turns a popular beer exhibit into a permanent one. "The Milwaukee County Historical Society has moved a popular brewing exhibit into The Shops of Grand Avenue — where you'll be able to get a beer with your history lesson. The idea is for visitors to come in, look around and leave with some knowledge of Milwaukee's brewing roots. A bonus is that the museum's $10 entry fee includes a beer at the Milwaukee Beer Bar". 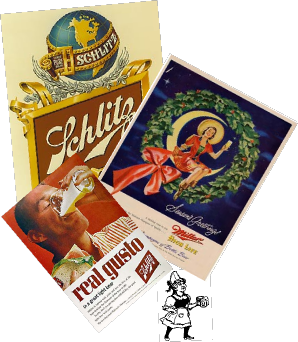 Interesting list of Historical Milestones in American Brewing from 1587 to 2001 published on BeerAdvocate.com. "The last surviving building from the old Gettelman Brewery, established on Milwaukee's west side in 1856, is being demolished. 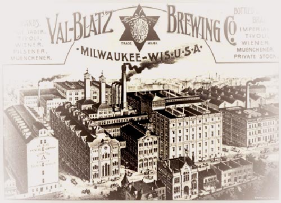 MillerCoors owns the 19th-century building where Gettelman once brewed $1000 Beer and Milwaukee's Best". Be sure to 'Like' us on Facebook!! !